Off we go to learn Greek! Φύγαμε για ελληνικά! 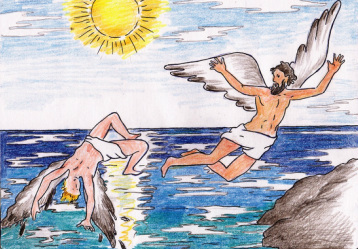 - Φύγαμε για ελληνικά! Off we go to learn Greek! Φύγαμε για ελληνικά! 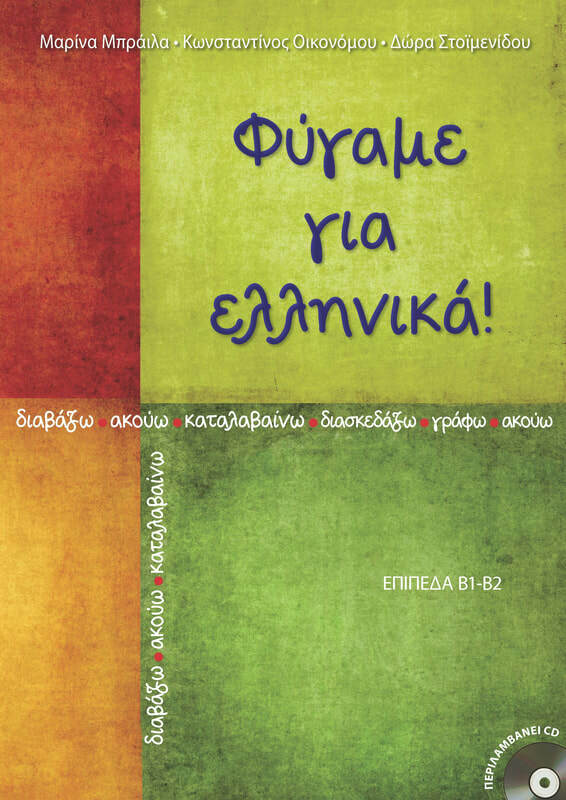 is intended for adult learners of Modern Greek as a foreign/second language who are at an intermediate level. As the title implies, you are invited to join us on a voyage of discovery which offers you the opportunity to practise your Greek reading and listening comprehension skills and to enrich your vocabulary. This book can be used either in the classroom or for self-study. It covers a wide range of everyday life topics and it also provides information on various social and cultural aspects of life in Greece. The main body of the book consists of 12 increasingly difficult thematic units. Each unit is divided into two parts. The first part includes a text or a dialogue written in simple, contemporary language followed by a reading comprehension and a vocabulary exercise. Two more exercises aim to further expand and consolidate your knowledge. The second part aims to help you to practise and improve your aural comprehension skills by listening to a dialogue or an oral text based on the theme of the unit followed by three listening comprehension exercises. Additionally, at the end of each unit you are provided with background information on different aspects of life in Greece and Greek culture. Moreover, writing topics are suggested –once more related to the theme of the unit– to give you the chance to practise your writing skills. 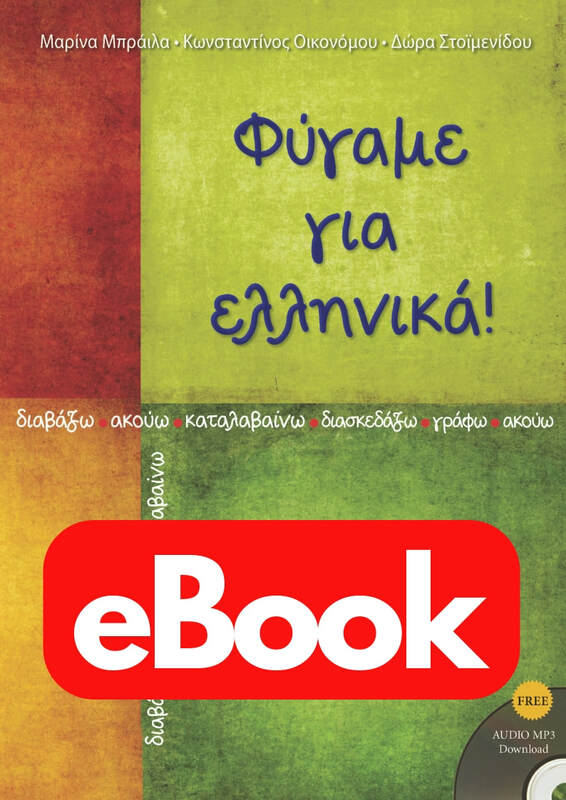 Finally, Greek songs related to each chapter are suggested which will provide a pleasurable way of broadening your knowledge of the Greek language and culture through the wide range of music to be found on the internet. Ο Ίκαρος και ο Δαίδαλος. At the end of the book, transcripts of the listening comprehension exercises can be found as well as the keys to the book’s exercises and a selected vocabulary from each unit translated into 4 languages: English, French, German and Spanish. The book is accompanied by a CD with the 24 visual or audio texts used. We hope you accept our invitation and join us on this great trip! 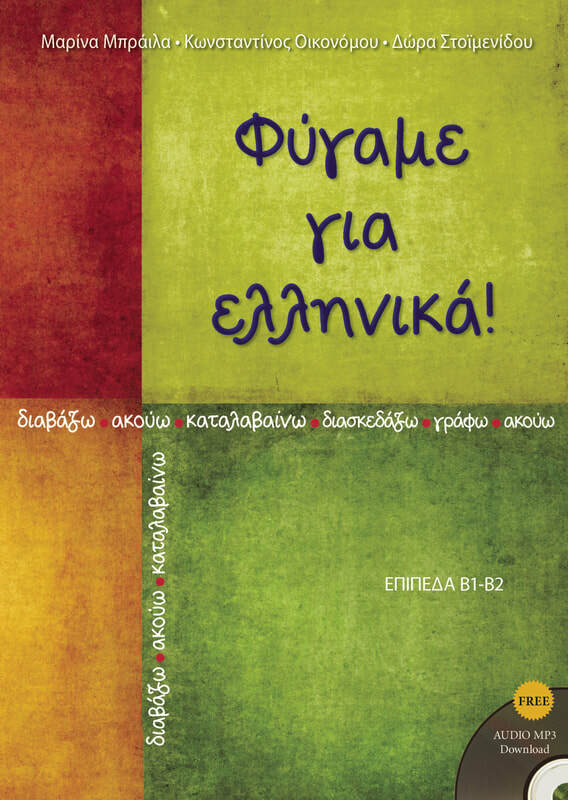 ​The authors of 'Φύγαμε για ελληνικά!' are full time teachers at OMILO Greek Language and Culture in Greece. Skype lessons are possible via OMILO on request, for every level and with or without the 'Φύγαμε για ελληνικά!' book. For more info, click here: OMILO Skype lessons. OMILO also offers intensive Greek courses in various locations in Greece.